Failure is a word you should banish from your vocabulary. Interestingly enough, people fear failure because it has the potential to affect their identity. 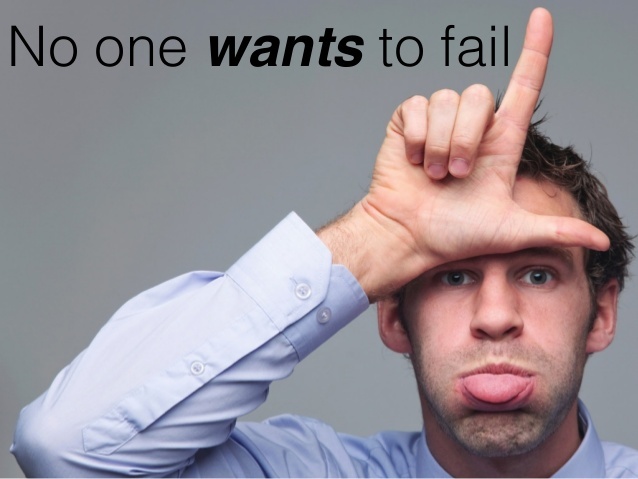 When you fail, you become… a failure! No one wants to be a failure so let’s not even take that risk! Wait just one minute. What about all those books? Fail your way to success, they say. Failure is the only way! Fail forward! Does that even make sense? Most people that say this do not truly understand the psychological negative weight associated to this term. In fact, it sounds downright painful and leads to psychological injury. If I have to fail to succeed, umm… NO! Allow me to explain. Let’s say you’re driving down the road and your engine light comes on. Your car starts acting funny and begins to lose power. You pull over on the side of the road and call your mechanic friend. He comes to check out your car, and he tells you that you’ve experienced engine “failure”. It means the engine quit. So, engine failure equates to the engine quitting. Failure = Quit. Thus, if you experience failure, you are quitting. However, as long as you’re continuing to create action, learning from the results and applying that new learning to more action, you can never fail. It’s just not possible. Here is another issue, some people place so much importance on success, they’re paralyzed by the thought of failure, so they don’t even strive to succeed. Did you ever think about the fact that when you go to the store and buy something, you’re getting a finished product? You don’t see the thousands of hours of work that might have gone into developing and designing the prototypes of that product. You only see it in its finished state. Do you think someone built that widget exactly the way you see it on their first attempt? Probably not.. Remember when we talked about failure not being possible unless we quit? Well, Thomas Edison didn’t quit as he searched for a way to create the light bulb. He attempted this feat thousands of times until he finally achieved his goal. He said, “I have not failed. I’ve just found 10,000 ways that won’t work.” He also said, “Many of life’s failures are people who did not realize how close they were to success when they gave up.” See? If you don’t give up, Thomas Edison is telling you that you will not fail! Imagine how different the world would be if Edison had given up on the light bulb after one hundred attempts. Let’s say you’re learning rifling. You aim your rifle at a target one hundred yards away. You line up your sight, pull the trigger, and you miss. What do you do? That’s right, you adjust and shoot again. You don’t quit. You go after it over and over again until you start hitting the target. This is not failing; this is learning and developing! As long as you are willing to learn from each and every step in the process, adjust, and keep moving toward your goal, you can’t fail. Do you think adjusting your perspective of the word "failure" can be of advantage to you? Newer PostWHO’S IN YOUR TRIBE?